Produced by eight-time Entertainer of the Year Kenny Chesney and Buddy Cannon, No Zip Code features Murphy’s sweeping post modern country: a little bit redneck, a little bit romantic, a little bit real life. Having written hits for many of today’s biggest stars, Murphy now sings his own songs. 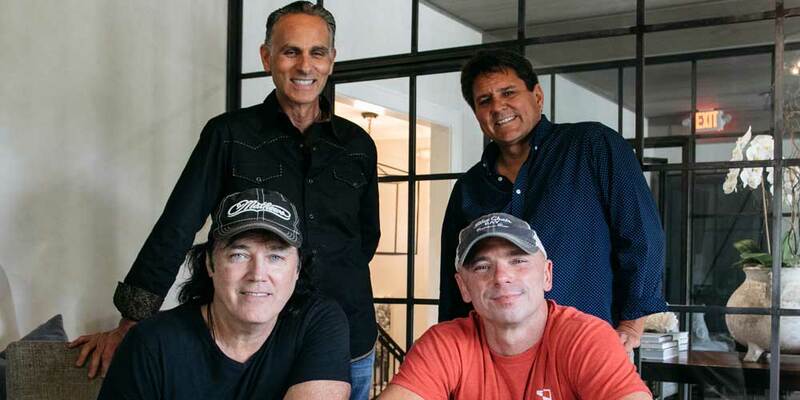 Reviver Records is a division of Reviver Entertainment Group, LLC, whose other divisions include Reviver Management, Reviver Productions, Reviver Label Services and Reviver Publishing (ventures with LOCASH’s Preston Brust and Chris Lucas in a joint venture with Tim McGraw). Reviver Records has offices in Nashville, New Jersey, Phoenix, Pennsylvania, and Idaho, and is the home to No. 1 hit makers LOCASH, No. 1 hit-maker/singer-songwriter Michael Tyler, rising stars Kayla Adams, Blackjack Billy, and the legendary Rock and Roll Hall of Famer (2009) Little Anthony. For more information visit revivermusic.com.